All works are insured for 10 years. Fully certified. Guaranteed quotes. 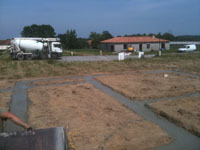 Welcome to SLM Construction: English-speaking Builders in the Charente, France. 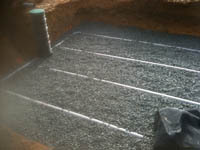 We can satisfy all your construction needs, from breaking the ground to handing over the keys at the end of a job. 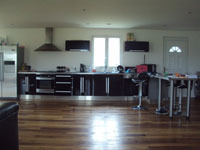 We are one of the largest building contractors in the Charente. Everything we do is fully insured for 10 years and fully certified to European and French building regulations and standards. We guarantee our quotes. We understand French planning laws, regulations, fixtures, fittings and local administration requirements. Use the tabs below to see how we can help you, whether you're looking for a new-build, renovation work or just maintenance jobs and don't hesitate to contact us for further information. SLM Construction can run your whole construction project from breaking the ground to handing you the keys! We have a strong track record in the Charente of new-build construction projects and would be delighted to talk to you about any plans you have. We understand the French building system from end-to-end, from engaging Architects, to Planning laws, to Drainage and Waste, to Electrical and Water regulations, even to the difference between UK and French fixtures and fittings. We are affiliated with TotalGaz France to be able to offer you an eco heating solution using LPG. And remember... we are fully City & Guilds qualified and all our quotes and building works are fully guaranteed. We put our reputation behind every piece of work we do to guarantee your satisfaction. 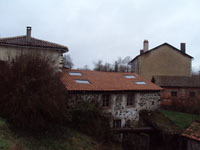 SLM construction are experts in renovating old French buildings, where we have many years experience. 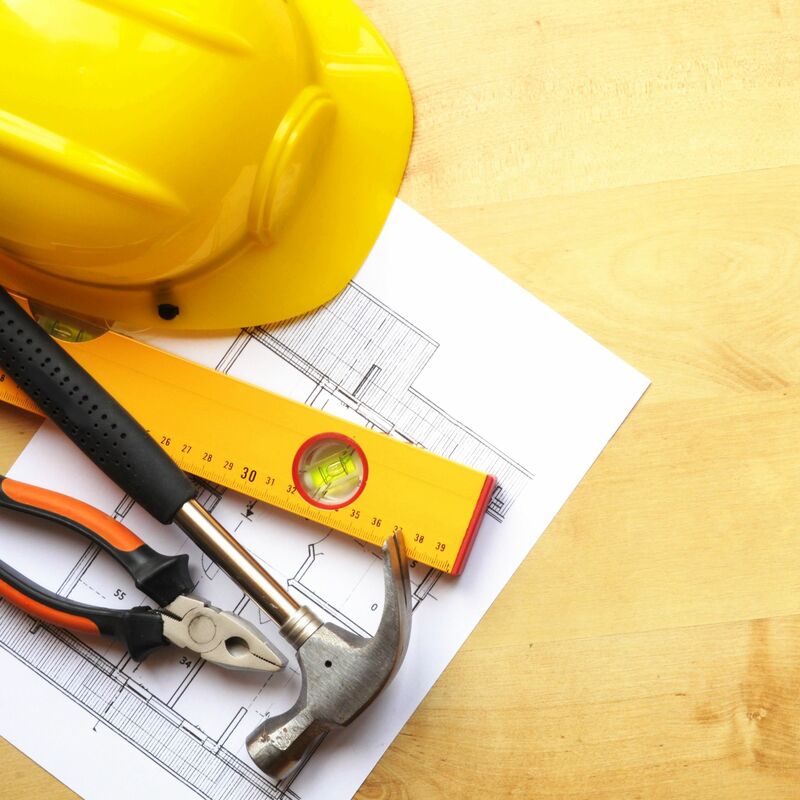 We cover all aspects of renovation, from securing the building, obtaining drawings and permissions, to relaying floors, to all your joinery needs, drainage and fosses séptiques, modernising existing plumbing and electrics, or even doing a complete re-fit. 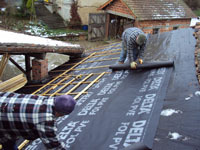 We can re-condition or completely re-build roofs. We can fit new kitchens, bathrooms and living areas and can landscape your garden and terraces to leave you with the home of your dreams. Many of the same regulations apply to renovation nowadays as to new builds: so fosses, drainage, waste, electrics all have to comply with new regulations. We can check all your requirements for you so you can have peace of mind. Even if you have started the renovation work yourself and now just want some help putting a professional finish on your plastering, ceilings, walls and fittings, then please give us a call. And remember we are affiliated with TotalGaz France, and can install a turn-key eco-heating solution for you using LPG. Whether France is your main home, or you have a "maison secondaire" and live in the UK, or you use it as a holiday home for yourself or guests, problems and opportunities arise that require updating and maintenance work. SLM Construction can manage your maintenance work for you, whether you are living on-site or live at a distance. We can work to deadlines for your arrival or those of your guests. We can perform all aspects of buildings maintenance work, including all aspects of interior and exterior maintenance of a building and groundwork. Need somewhere to stay while you're here? Many of our clients need a place to stay for a few days either while they are out here discussing and inspecting works, or if the point in a renovation works requires it (for example having to turn off plumbing). We recommend La Croix, at Pressignac, as a comfortable, well-equipped, professional and friendly place to stay. Contact Paula on +33 (0)5 45 89 35 87 or check the La Croix Spa website. © SARL SLM Construction 2012-2016.